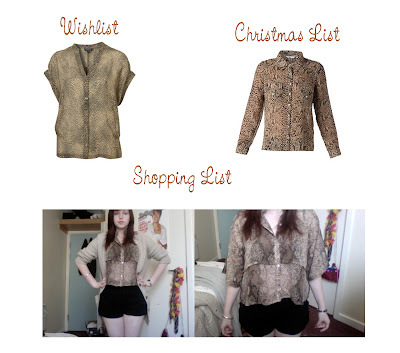 Sophie says..: Wishlist, Christmas List, Shopping List: Snakeskin blouses! Wishlist, Christmas List, Shopping List: Snakeskin blouses! I love when this happens. The least expensive version of the blouse is the best, and you only pay a fraction of the price! 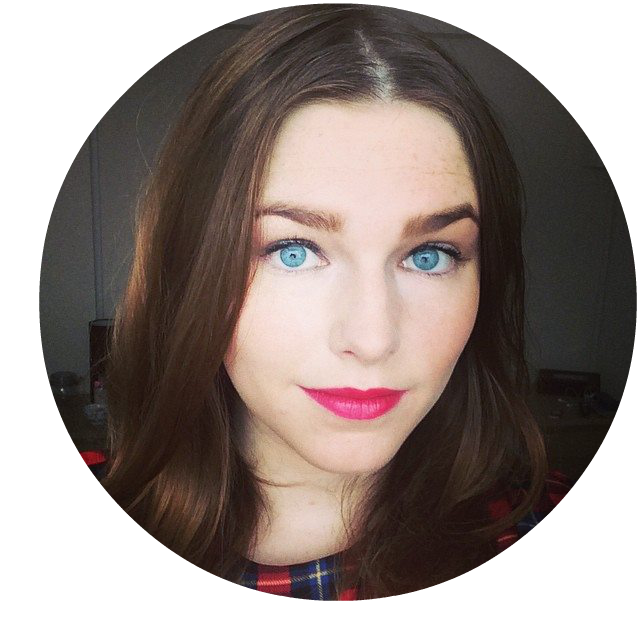 To be fair, the Topshop blouse is gorgeous. I love the cut and the shape of the sleeves, although I wouldn't be able to justify spending £36 on it, even with my 20% student discount! I'm not really a big fan of the New Look blouse, but I can imagine with the sleeves rolled and stitched it would look a lot more appealing to me. It's also £22.99, which is also a bit pricey for me. I found the Primark version last week when I was off draining the remainder of my bank account in Bournemouth town. It didn't look to appealing on the hanger; it seemed out of shape and I couldn't imagine it on me - so I tried it on out of pure curiosity. The second layer covers up my bra, but leaves my stomach showing due to the sheer fabric, so I wear it with black high-waisted shorts (New Look) to cover myself up a little. Overall i'm happy with my purchase. It's light and somehow flattering, and I can't wait until I wear it again.